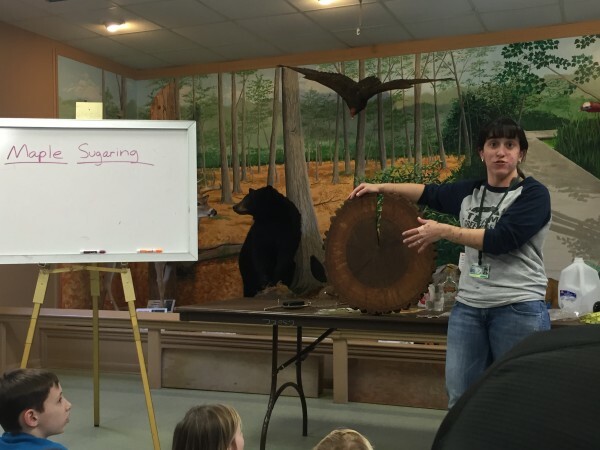 Posted on: January 8th, 2019	by Melanie C.
We originally published our list of maple sugaring events in New Jersey in 2014. 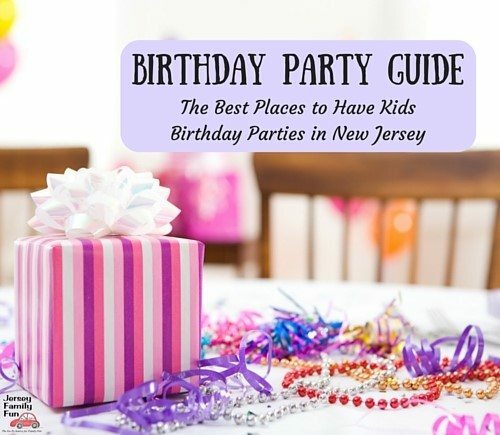 We update this list every year because we know how much fun maple sugaring for kids can be and we know families want to go maple sugaring in New Jersey. Do you think you can only go maple sugaring in Vermont? Of course not! New Jersey has so much to offer, and you can get your maple sugar fix close to home with these local spots for maple sugaring. 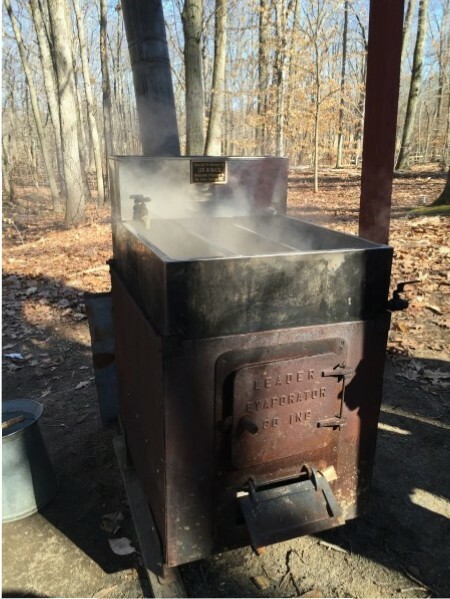 Beginning in January, parks will be offering amazing opportunities to go maple sugaring in New Jersey with maple sugaring events in New Jersey and maple sugar tours for the entire family to enjoy. Not only are these maple sugar events affordable, fun and educational, they are tasty too! Plus you can learn how maple sugar is made. With this list of the best places to go maple sugaring in New Jersey we’re sharing where and when you can go maple sugaring in New Jersey with your kids. Keep reading. Experience the fascinating process of how maple sugaring is made from start to finish. Identify and tap maple trees, collect sap, and make syrup over a wood-fired evaporator. Taste-test different, delicious syrups, including syrup made at the Great Swamp OEC. Rain or shine. Saturdays & Sundays, January 19, 20, 26, 27, February 2, 3, 10, 16, 17, 23, & 24. 1 p.m. – 2 p.m. or 2:30 p.m. – 3:30 p.m. The fee to attend this maple sugar making event is $3 per person age 3 & up. No registration is required, but seating is first come, first served. This New Jersey maple sugaring event is February 9 from 10 AM – 3 PM. Celebrate the Sugar Maple and the magic it brings to your table. Learn about the entire maple sugaring process with Duke Farms Executive Director Michael Catania.Participate in activities and nature hikes focused on wildlife, tree identification, best forestry practices, and climate change as it relates to the Sugar Maple and our native forests. Experience the flavor of New Jersey maple syrup, visit live demonstrations, and have fun! This maple sugaring class is FREE but you must register. For more information visit their website at Duke Farms or call (908) 722-3700. What a tasty way to spend a winter afternoon! Bring the whole family and enjoy a program about maple sugaring, the oldest continuous industry in North America. Learn about the sugar maple tree and the history of maple sugaring, observe a tapping demonstration, and enjoy a maple syrup tasting. To ward off the chills, we’ll have an old-fashioned campfire burning. Preregister by calling RNC at 609-261-2495. Cost is $7/person, $15/family (limit 5) for Rancocas Nature Center members. $9/person, $21/family (limit 5) for non members. For more information visit their website at Rancocas Nature Center or call 609-261-2495. This New Jersey maple sugaring event is held February 2, 3, 9 and 10 at varying times. This event is a participatory demonstration in the procedures of home maple sugar production. Advanced registration required. There is no cost to attend. For more information visit our calendar event. This New Jersey maple sugaring event is Sunday, February 24, 2019, 1:00 pm to 4:00 pm. The rain/snow date for this event is Sunday, March 3. Learn how early settlers tapped maple trees and turned the sap into delicious maple syrup! Take part in our family scavenger hunt and see whether you can successfully complete the “Maple Syrup Challenge.” Round out the day with a sampling of maple syrup made here at the Arboretum! This maple sugaring class is FREE for RRA Members and children under 3. The cost for Non-Members is $5 per person, $25 maximum per family. February marks the beginning of maple sugaring season. Join us as we tap the Arboretum’s maple trees in preparation for this season’s sap flow. Not only will families learn the hows and whys behind tapping trees, but will also get first-hand experience actually helping us do it! The fee to attend this maple sugar making event is $15 per family for Members and $25 per family for Non-Members. The public is invited to an open house at Echo Hill playground on Saturday, March 9, 2019 from 9 AM – 2 PM. Tours every 20 minutes from 9 AM – 2 PM and last an hour. Admission is a $1 suggested donation. The fee to attend this maple sugar making event is $3 per person, registration is required. Collecting the sap is a crucial step of the maple sugaring process! Many methods are used on commercial farms, but the basic idea is the same—moving the sap from the maple trees to the stove. Come participate in the process at Echo Hill! We will meet at the playground and then walk to the sugar bush (five to ten minutes). The evaporator that boils the sap down to syrup. Learn how to identify a maple tree. Discover the history of syrup making and how technology has changed the way we gather sap over the centuries. The group will check Tenafly Nature Center’s tapped tree and boil down sap to make fresh, warm maple syrup, a sweet treat for all to taste. 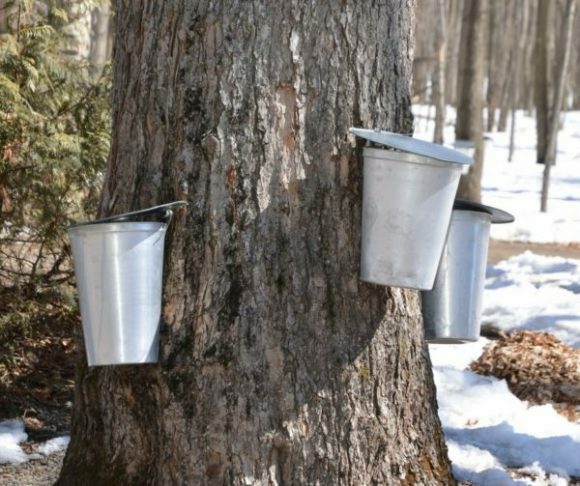 This New Jersey maple sugaring event is March 31, 2019, from 2 PM – 4 PM. What you can expect: All about maple sugaring making. The Maple Sugar program is given at specified times; call or email for information. Appropriate for children. Museum tours and demonstrations of open hearth cooking included. The rain or heavy-snow date for this event Sunday, February 17th. The Hermitage Master Gardeners will be tapping about 15 trees on the grounds of the National Historic Landmark. Families and friends are invited to learn how to tap maple trees and the importance of maple sugaring to the Lenape and early Dutch and English settlers in Northern New Jersey. Children 12 and older and adults will also be able to tap the trees with the Master Gardeners. Guests will be sent home with the equipment to tap the trees in their own yards and instructions on boiling the sap into syrup. During the event a small concession stand featuring hot beverages and maple sugary snacks will be also be open. Looking for a super sweet activity the whole family will love? Don’t miss Van Vleck House & Gardens’ annual Maple Sugaring event! Families are invited to learn how to identify a sugar maple tree and discover the steps for turning sap into syrup, focusing on a tapped sugar maple tree in Mother’s Garden. Continue to check back as we are always updating this list as new maple sugaring events in New Jersey are scheduled and added! Update: At the Great Swamp OEC in Chatham, the 2017 hours for Maple Sugar Programs are 1pm and 2:30pm on most Sat & Sun in Jan & Feb. Maple Sugar Festival on Sat, March 4th, 2017.